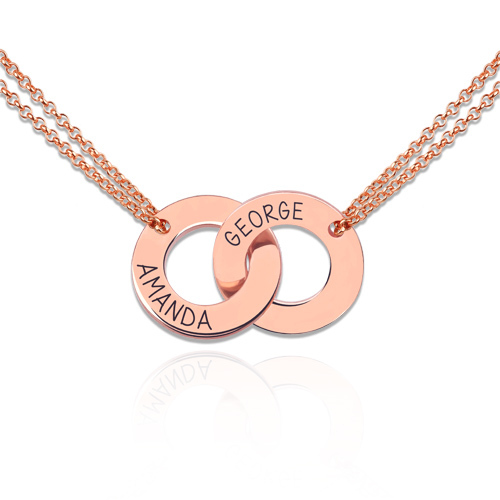 With a design akin to the infinity symbol, this fantastic necklace is a truly sentimental piece, tailor made to your specifications for a unique bespoke item. Two rose gold rings intertwined. Each circle is interlocking with another to create a unique name. 1. All letters are capitalized by default.